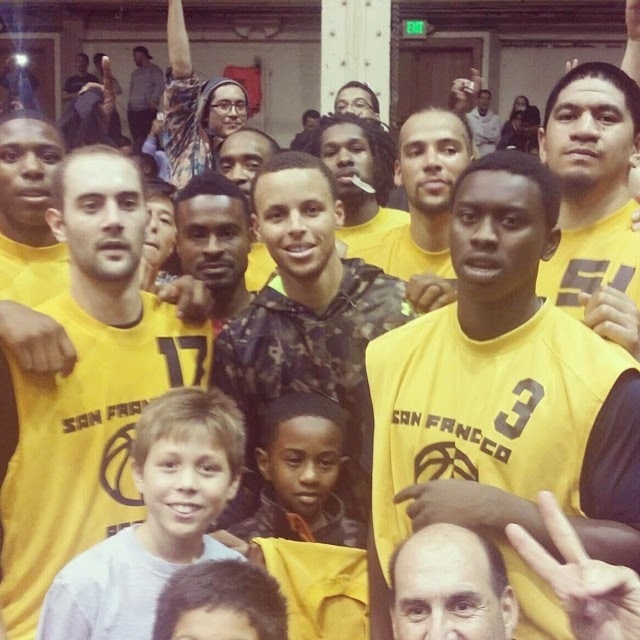 Golden State Warriors guard Stephen Curry made his San Francisco Pro Am debut last night and scored 43 points against a bunch of college and amateur players at Kezar Pavilion in San Francisco. Curry was playing for a team called SF City. All the games in the SF Pro Am are free to fans and the fans who came out on a Wednesday night got treated to an exciting performance by the best shooter in the NBA. Curry dazzled the crowd with fancy dribbling, a dunk, and a lot of three-pointers. Here are some videos of Curry's performance.